Shaun O’Gorman knows what it’s like to suffer from PTSD, depression and to battle with suicide. He served a 13-year career as a Police Officer including 9 years as a Police K9 handler. The violence, death, and depravity he saw people perpetrate against each other had a lasting effect on him. It culminated with him lying in bed, with a Glock pistol in hand, trying to find a reason not to end his life. This ended the Police career he had dreamed of since he was a child. For a man coming from a Police family where his father served for 42 years this was devastating. The loss of identity was one of the hardest parts to deal with. Shaun couldn’t find anyone who could help him out of the hole he was in, so he spent the next 15 years educating himself on how to beat PTSD and depression. He now takes the lessons learned to help other Police, Military and First Responders deal with the trauma their duties expose them to. He strongly believes that it is possible to prepare yourself for what you will experience in your career to prevent you experiencing what he did. His purpose in life is to help people and make a difference. Through his business “The Strong Life Project” Shaun teaches Alpha Humans how to prepare for the difficulties they will experience in their life. His passion is teaching men to be the best version of themselves possible. 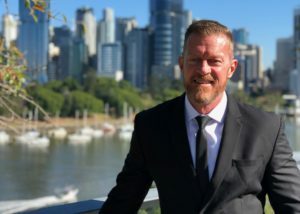 Shaun has a strong belief that as people we have lost our way and need to learn how to be the loving, strong and connected leaders our families and society needs us to be. It is time for us to stand up and be counted. 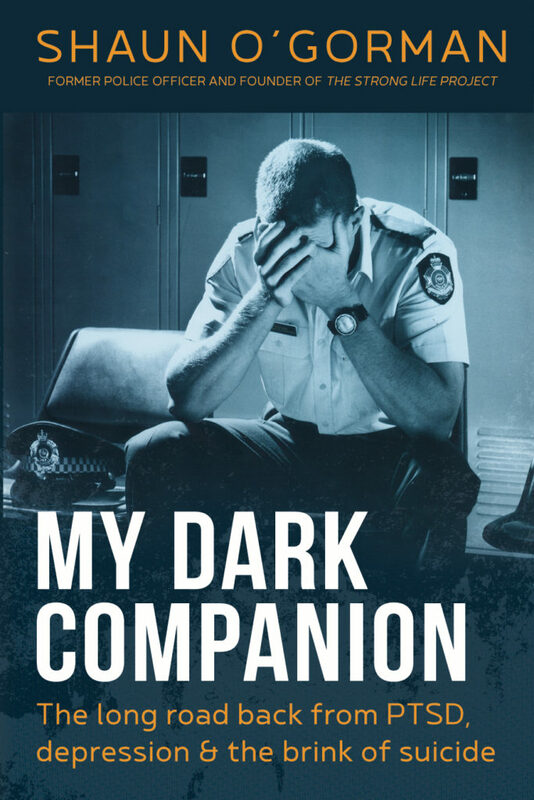 The story of my 13 year Police Career that ended in PTSD, depression, my battle with suicide and the long road back. My hope is my story helps other people realize there is light at the end of the tunnel. If you are considering reading this book, then I want you to know who I am and what I want to achieve in writing and publishing this work. I have faced many challenges in my life, and the overwhelming reality was no one knew how much I was struggling and how close I came to ending my life. With the epidemic of Suicide in our society, I want to help shine a light on the issue of Mental Health and assist in dispelling the stigma that is attached. If you or someone you know is facing difficult times, please don’t stay quiet. Reach out for help if it is you. Reach out to the other person and offer them your hand in support if it’s someone else. Don’t be afraid to ask someone if they are really OK. Ask yourself how you would feel if something happened to that person and you knew there was more you could have done. We are all so scared to talk about the issue of Mental Health, yet I believe we all have our struggles at different intensities and different times in our lives. When we can get to a point where we look at these conditions like we look at a disease like Cancer, we will begin to make a difference. Nobody looks down on a person with Cancer; they do all they can to help them. This is where I want Mental Health to get to. Mental Health conditions are often a chemical response to outside stimuli. They are NOT a sign of weakness. Mental Health is something that I believe can not only be treated but also managed to a point where it no longer has a negative effect on your life. I went from lying in my bed with a Glock pistol in my hand, to living a life I love. I still have tough days, and life is not all fairies and rainbows, but with effort and commitment you can live a great life. I hope you love this book and it helps you open up to the possibilities that your life has to offer.